Inland Waters are rivers (inside of the seaward entrance), creeks, canals, lakes, reservoirs or similar waters - natural or constructed, public or privately owned, but excluding navigable rivers/creeks/streams within declared port waters. 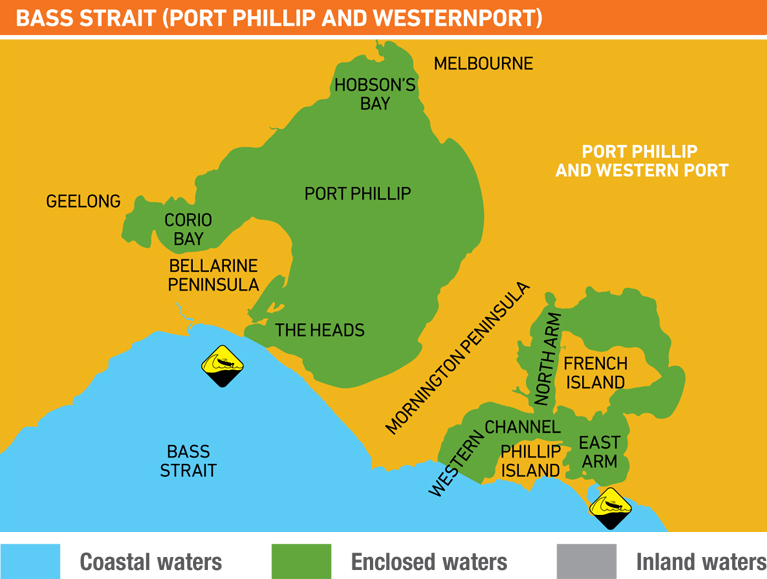 Coastal Waters are all waters other than inland waters or enclosed waters. Coastal Offshore is greater than 2 nautical miles offshore and additional safety gear is required by law. 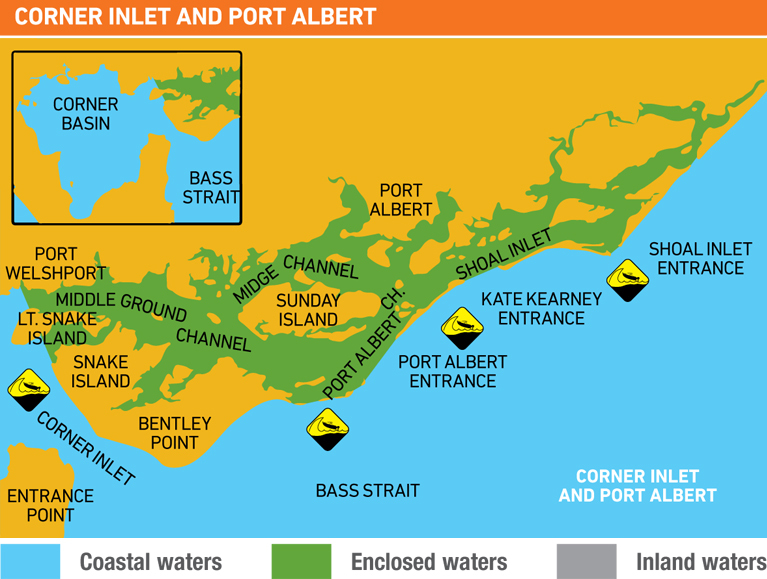 In Victoria we think of Bass Strait when we think of coastal waters, but note it also includes Corner Inlet - see the maps below. Enclosed Waters can be as exciting as Coastal OffShore, we recommend that you carried the suggested coastal offshore equipment when in all waterways. Its better to be safe then sorry!